The symptoms of depression can place a massive burden on a patient and their family. We are here you offer you hope for a major reduction in your depression symptoms. 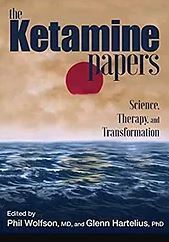 “A systematic review and meta-analysis of randomized, double-blind, placebo-controlled trials of ketamine in the rapid treatment of major depressive episodes.“ Psychological Medicine. March 2015. 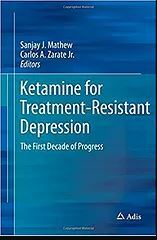 “The Role of Ketamine in Treatment-Resistant Depression: A Systematic Review” Current Neuropharmacology. Sept. 2014. “Efficacy of Ketamine in Bipolar Depression: Systematic Review and Meta-analysis.” Journal of Psychiatry Practice. Nov. 2015. 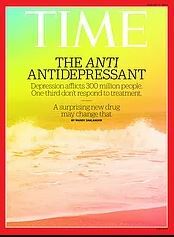 “Antidepressant efficacy of ketamine in treatment-resistant major depression: a two-site randomized controlled trial.” by American Journal of Psychiatry, October 7, 2013. 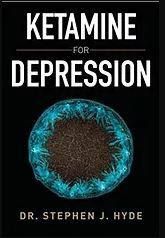 “Ketamine as a Novel Antidepressant: From Synapse to Behavior” by Clinical Pharmacology and Therapeutics, June 5, 2013. “Serial infusions of low-dose ketamine for major depression.” by Journal of Psychoparmacology, May 27, 2013. “Safety and Efficacy of Repeated-Dose Intravenous Ketamine for Treatment-Resistant Depression” by Biological Psychiatry, 2010. “Rapid and Longer-Term Antidepressant Effects of Repeated Ketamine Infusions in Treatment-Resistant Major Depression” by Biological Psychiatry, Aug 15, 2013. “A Randomized Add-on Trial of an N-methyl-D-aspartate Antagonist in Treatment-Resistant Bipolar Depression” Arch General Psychiatry. Aug, 2010. “NMDA receptor blockade at rest triggers rapid behavioural antidepressant responses” Dept. of Psychiatry University of Texas Medical Center. July 2011. “Rapid and Longer-Term Antidepressant Effects of Repeated Ketamine Infusions in Treatment-Resistant Major Depression” Biological Psychiatry. 2012​. “The Correlation Between Ketamine and Posttraumatic Stress Disorder in Burned Service Members”Journal of Trauma and Acute Care Surgery. Feb 2008. “Effects of Ketamine on Major Depressive Disorder in a Patient With Posttraumatic Stress Disorder”American Association of Nurse Anesthetists Journal. April 2013. “Ketamine for Chronic Pain Risks and Benefits” British Journal of Clinical Pharmacology. Jan 2014. Ketamine Infusion Therapy for Psychiatric Disorders and Chronic Pain Management American Association of Nurse Anesthetists Journal. September 2016.